Paul S. Drotch specializes in providing a wide range of business valuation and advanced financial and economic analysis services. Mr. Drotch holds the prestigious CFA (Chartered Financial Analyst) credential, demonstrating his proven expertise in complex financial analysis and business valuation. In addition, Mr. Drotch received his MBA from Carnegie Mellon University, one of the nation’s top MBA programs for quantitative analysis, where he excelled in studies of finance and economics. As a Senior Financial Analyst, Mr. Drotch has over 20 years of experience in analyzing the value of businesses through close examination of a company’s financial history, financial outlook for the future, current financial statements, ratio analysis, public company comparative analysis, private company comparative analysis, and the impact on business value of current conditions in both the local and the national economy. 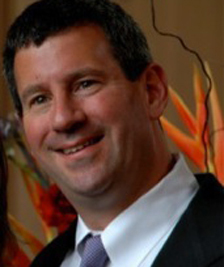 Furthermore, Paul has extensive experience with analyzing financial investments, valuation of unique investment securities, and closely held business operations from his current experience as a Chief Financial Officer. © 2013 Valuation Forensics. All Rights Reserved.